This is great for when you need higher dbi to get that extra range and clarity of video! 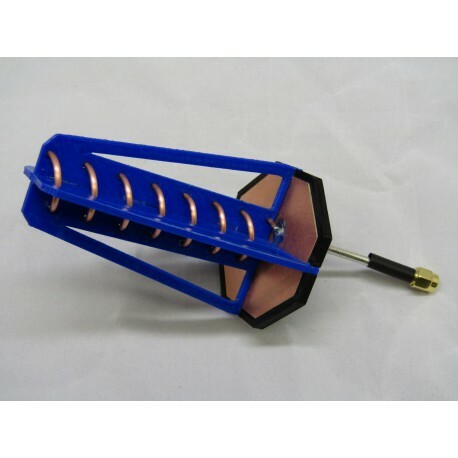 This 7-Turn Helical Antenna is a Right Hand Circular Polarized (RHCP). This Antenna is compatible with DJI, Fatshark, Boscam, and immersionRC. Helical Antennas give you better object penetration, allowing you much greater range and video clarity! This antenna offers 13.2db of gain. Unlike many other antennas on the market, this is built tough and made to last. With the coil being completely guarded and protected, no matter how rough the adventure, the coil will stay in shape even in accidental drops and mishandlings. 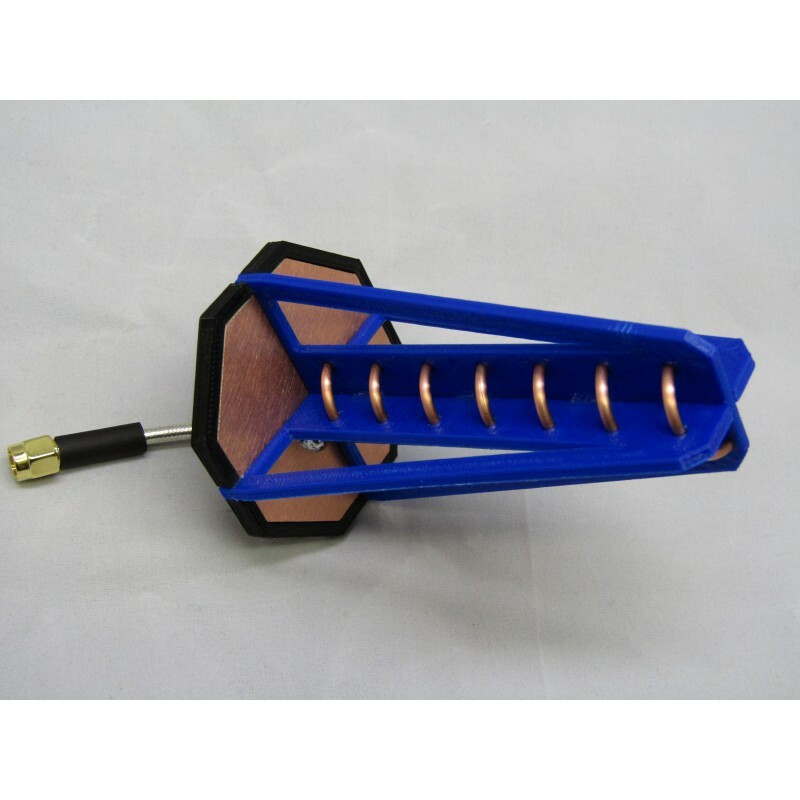 In contrast to the spring-and-tube design, this antenna's secured design does not allow the coil to move or shift. Consequently, no matter where you fly, it will stay in tune. You can position this antenna using its semi-flexible cable instead of having to buy expensive angle adapters. This allows you to point it in your flying area for the best reception. With the high-efficiency cable you will get more power, which means greater range. Unlike other lower-quality antennas out there, this antenna has a wave trap, generating cleaner video when flying behind objects. 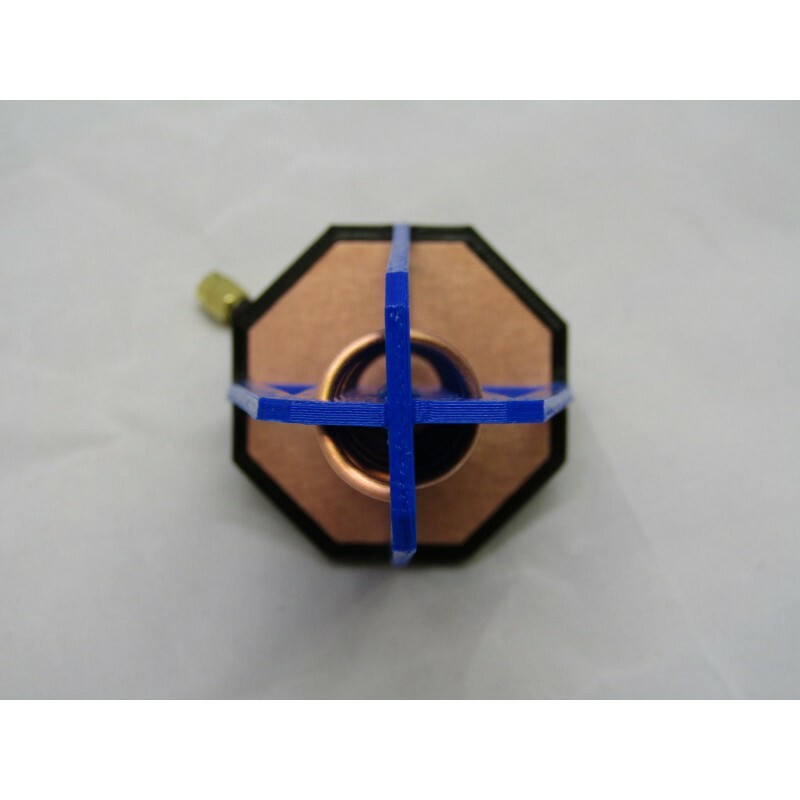 This antenna is made with high precision CNC machines.